Also in Friday afternoon's round-up of news briefs, the New York Film Festival has unveiled plans for an inaugural Midnight sidebar and Transmedia program. Peter Strickland's latest thriller is headed for U.S. theaters after screenings in Toronto and New York tests. Kodak announces departure from key photo biz areas and The Dark Knight Rises passes an international box office milestone. 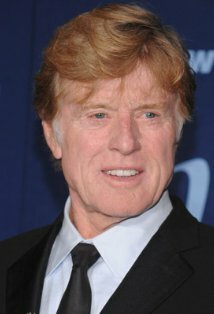 Sony Pictures Classics has picked up U.S. rights to Redford's feature which stars Shia LeBeouf, Julie Christie, Sam Elliott, Brendan Gleeson, Terence Howard, Richard Jenkins, Anna Kendrick, Brit Marling, Stanley Tucci, Nick Nolte, Chris Cooper, and Susan Sarandon. A thriller centered on a former Weather Underground activist who goes on the run from a journalist who has discovered his identity. It will screen at the upcoming Venice and Toronto film festivals. Thrillers will have a section to call home for the first time at the 50th New York Film Festival. The premieres of three films will take place at the festival which opens with Ang Lee's Life of Pi September 28th. Barry Levinson's The Bay, Peter Strickland's Berberian Sound Studio and Outrage Beyond by Takeshi Kitano will screen in the festival which continues through October 14th. Additionally, Transmedia will get a two-day focus during the festival September 29 - 30. The event will host panels, workshops and "immersive experiences" designed to be an "intimate gathering for creators, designers, thinkers and fans." For details on both events, visit The Film Society of Lincoln Center's website. The film stars Toby Jones, Cosimo Fusco and Antonio Mancino about a sound engineer's work at an Italian horror studio that becomes a case of life imitating art. The feature will screen at the upcoming Toronto and New York film festivals. "Berberian Sound Studio is a dazzling cinematic tour-de-force that brings to mind Hitchcock,Argento and De Palma featuring a brilliant performance by Toby Jones," said IFC/Sundance Selects president Jonathan Sehring about the film which genre label IFC Midnight will release at a later date. He voiced Count von Count as well as many other beloved Sesame Street characters including Snuffleupagus, Sherlock Hemlock, Camilla the Chicken and Kermit’s nephew Robin. He also worked on several Muppet movies, Deadline reports. The announcement means an end to it making films for still cameras, photo papers, souvenir photo products at theme parks, scanners and picture print-out kiosks at stores. It would leave the business focused on printers, cinema film stock and chemicals, BBC reports. Christopher Nolan's Batman trilogy finale has grossed $501.1 million overseas, making its worldwide total (when combined with almost $414 million in North America) to $915 million, Screen Daily reports.